Our long time client, Without Limits, sponsored the first annual Copperhead 20k 2016 Beer Relay this past August along with various local Wilmington sponsors, including Lighthouse Beer & Wine. This fun evening race was located in the beautiful Poplar Grove Plantation, and also featured a beer relay option for participants of legal age. The event raised money to support Poplar Grove Plantation and was a huge success, kicking off what we know will be many years of future Copperhead 20k Beer Runs! 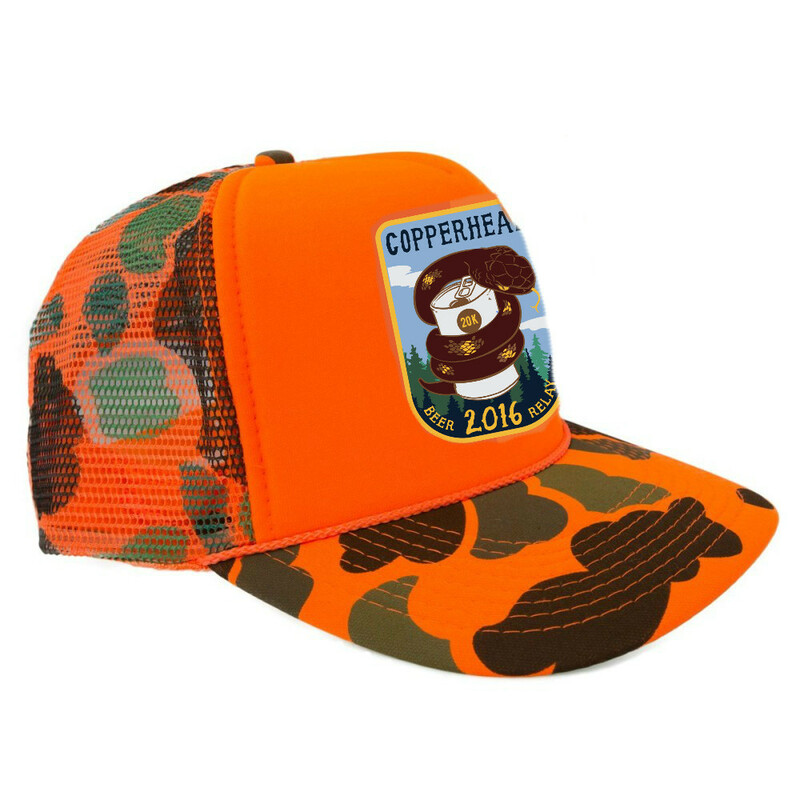 Being that this was the first annual Copperhead 20k, our designers were challenged with creating a unique and original logo to represent the event this year and for years to come. Our team wanted to focus on the Copperhead theme when designing this event logo, as well as the beer portion of the run that runners would be participating in. Our graphic designers created a logo design that correlated with the theme and structure of the Copperhead 20K Beer Relay. The logo that we created was also integrated throughout the race’s marketing materials including hats, patches, and other apparel sold during the event, and the funds would benefit Poplar Grove Foundation. The logo displayed a copperhead snake coiled nice and snug around a beer can, strategically placed in front of a beautiful green landscape to represent the trail race’s serene location of Poplar Grove. The color scheme involved oranges, yellows, and browns, which flowed nicely with the orange camo hats. We were very pleased with how the logo design turned out, as we believe it represents this race well, and we look forward to seeing this event grow and thrive in the many years to come! Be sure to register for this race next fall. Trust us, you do not want to miss it!